"I bought my first house with Carly's help...she was awesome! She answered all of my questions and explained each step of the process. I got the house I wanted and stayed in my budget with her help. Highly recommend for first time buyers and anyone else! 10 out of 10!" "I bought my first home. Carly went above and beyond to help me find a place in my budget and as close to what I was looking for as she could find available. I highly recommend Carly for your home buying needs! Will definitely use her again if and when I want to find a different place!" "Carly went all out for me! She is the greatest! She went to the ends of the Earth for me. You would be wise to go with this wonderful woman!" "Fantastic, well-versed, real estate professionals, who are equipped to handle everything from the first time home buyer to the home builder, looking for land to develop." "I specialize in property development & condo conversions. 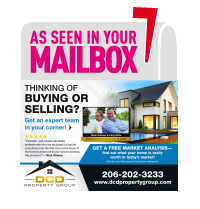 Darin has a wealth of knowledge in all aspects of the real estate industry. He was able to secure several properties for my company. Staying involved from start to finish, he's now the only real estate consultant I work with and trust with any project. HIGHLY RECOMMEND!" "I just bought my first home with Carly and had a wonderful experience! She went above and beyond to find me a wonderful first home! and not only that but she found me my dream home! A great real estate professional who I would highly recommend to anyone from a first time buyer or those with previous buying experience!"